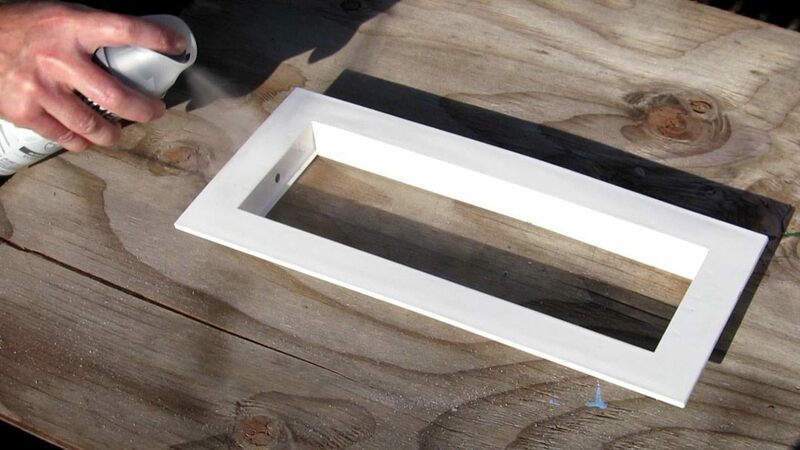 Paint Polypropylene Vent Frames with ease and great results using the following methods. Yes, all of our EZRvents can be painted with newer paints that have been formulated for plastics (Polypropylene). EZRvent frames can also be painted with a good quality exterior house paint if properly prepared. We should emphasize that it is Equally and most important Prior to priming, is to clean and prepare your vents for painting by Flame Treating and wiping with alcohol; -or - lightly sanding the surfaces with sand paper and wiping with alcohol. Surface tension and residual mold release may otherwise affect your results even if the paint manufacturer does not specify this. Flame Treatment may sound scary, but is easy and fast to do. We have tested and found best and most forgiving results with Krylon Fusion, Rust-Oleum Specialty Paint For Plastic, or Valspar Plastic and using a 1st coat of Valspar Primer for Plastic, Fusion Primer for plastic, or Rust-Oleum Specialty Plastic Primer. Many of our installers do this with great long lasting results. We also have also have good results painting EZRvents with good quality exterior house paint if properly prepared with Flame Treatment or other prep as outlined below. Then Followed with 2 coats of Krylon Fusion Primer, Rust-Oleum Specialty Plastic Primer, or Valspar "Primer for Plastic". 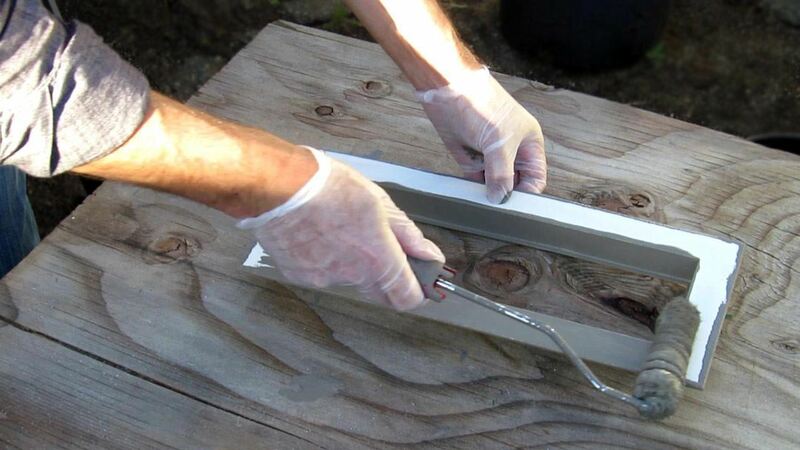 Both the Preparation and Primer for Plastic step is important for proper adhesion. b. Lightly Sand the surfaces with 100 - 150 grit sand paper and wipe with alcohol twice. Then Mask Mesh area. This is the most important step to ensure proper adhesion. Flame Treatment of Polypropylene is our preferred option as it is the easiest/ least effort and provides the best surface preparation. Flame Treatment may sound scary, but is easy and fast to do. This is how professionals paint Polypropylene auto body bumpers and other parts. Flame Treatment oxidizes the plastic changing the surface chemical structure, surface tension, and raises the glass fibers on the surface of EZRvent glass filled polypropylene frames. Flame Treatment also allows impregnated mold release agents to be released and come to the surface so that they can be cleaned away with the Alcohol wipe step. Primer Paint 2 Coats with one of above options. Hold can 4-6" from the surface and apply with even strokes to fully wet surface. This will deliver all the solvents to the plastic surface and provide a good bite. Do dust the surface or apply from a higher distance then 6" as solvents in primer will dissipate before etching into the Polypropylene Plastic. Allow to flash off 10-20 min between coats and proceeding to Paint. Spray, Brush, or Roller application all work well. Roller application provides an orange peel or slightly hammered texture. It is important to not dilute your paint if applying by brush or roller. If you need to thin your paint for spraying, use Benjamin Moore Paint Extender (518), or similar product from your desired paint manufacturer. Paint extenders are typical 100% acrylic and will not affect paint adhesion if used per paint manufacturer instructions. - Do Not thin your paint with water; this will cause your paint to not form an effective bond. On high-end jobs, after removing old vent and vent screen, Black-out Paint the jam sill and framing studs in vent opening with black spray paint. This really makes backgrounds disappear and the finished job look great! Less is more . . . EZRvent frames have been designed to not trap water and allow for water to pass and weep out. 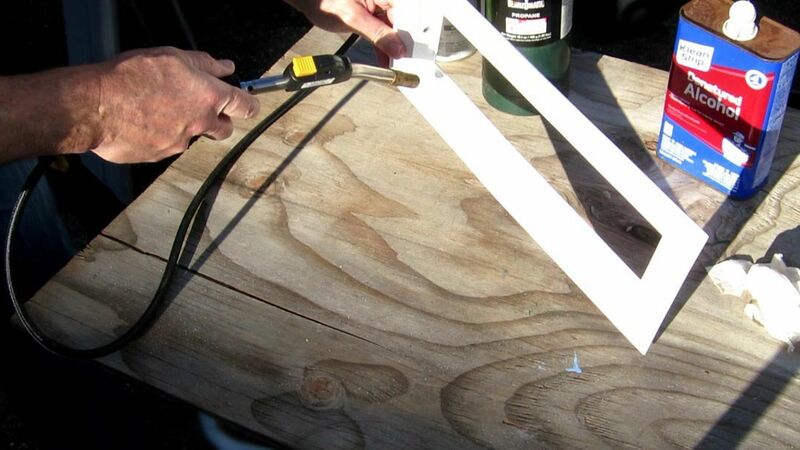 In most cases, not applying caulking is better to allow water to drain freely. In high rain areas and some building codes, a single bead of caulk at the top edge of the vent is required. *Note: However, improper application of caulking or over caulking can actually lead to more harm than good. It is important to not trap water if caulking your vents. 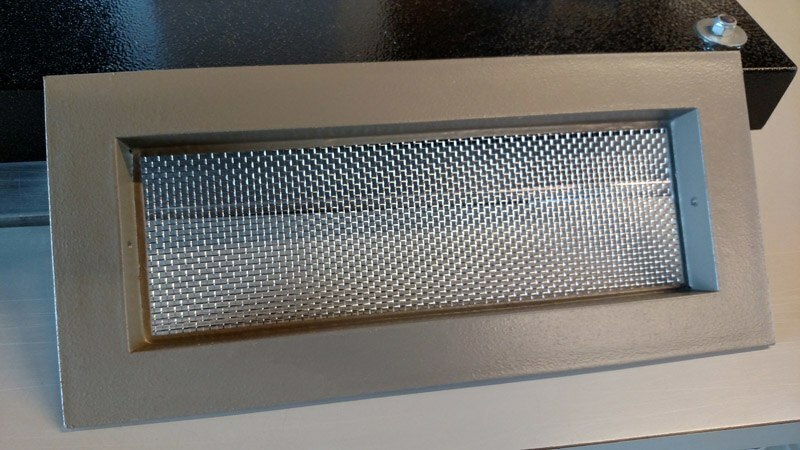 *Do not apply a Caulk bead along the bottom edge of FV100 vents to allow for proper drainage. Easily Paint Polypropylene Foundation Vents and Garage Vents in 3 easy steps: Clean and Prepare Surface, Prime, and Paint. Preparing the surface with preferred Flame Treatment is most important step.